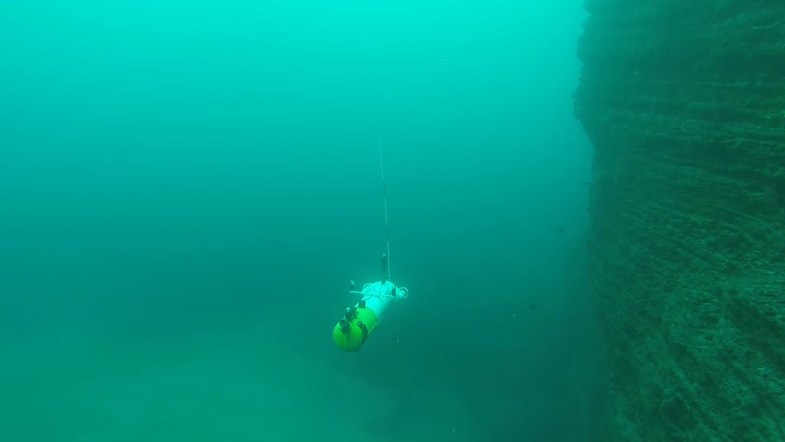 Autonomous Underwater Vehicles (AUVs) true autonomy capabilities in complex poten-tially unknown environments, have not yet been fully achieved because of the lack of online algorithms that can solve fundamental problems such as localization, mapping and path-planning on-board the AUV and consequently react according to their outputs. These algorithms can empower them for new capabilities such as long-term deployments, au-tonomous exploration and autonomous intervention. 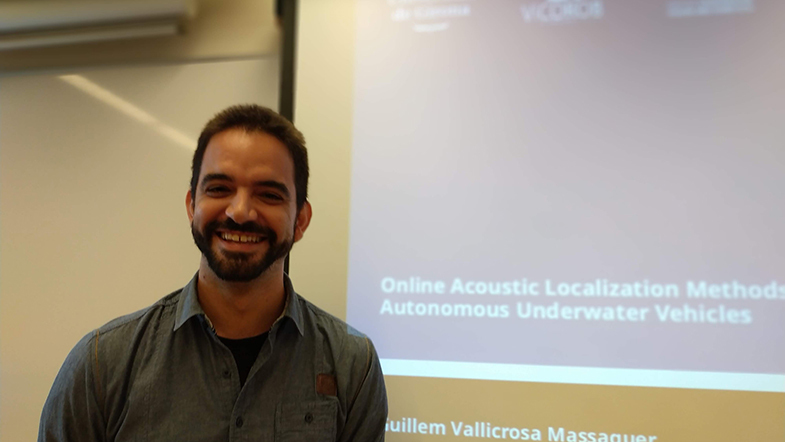 This thesis presents the development of two online localization algorithms for AUVs. The first algorithm is based on a Sum of Gaussian (SOG) filter for online range-only lo-calization of an acoustic beacon, e.g. localization of a Docking Station (DS) for battery recharging and data uploading. Two different versions of the algorithm are developed, one based on Dead Reckoning (DR) navigation and one based on a full Simultaneous Local-ization and Mapping (SLAM) solution. Moreover, an Active Localization (AL) algorithm is also developed to autonomously select the best actions that minimize the range-only localization uncertainty. This algorithm is also tested as part of a wider project where it is combined with other algorithms to produce a complete homing and docking strat-egy. Consequently, this algorithm can help long-term deployed AUVs being able to always return to their base DS for battery recharging. The second algorithm proposes a new online SLAM framework for continuous occu-pancy mapping named H-SLAM. It uses a Rao-Blackwellized Particle Filter (RBPF) where each particle carries a HM representation of the environment. HMs offer a low memory footprint and constant computational complexity O(1) for insertion and query, suitable for online processing. This algorithm is tested on two real-world datasets offering a sig-nificantly better reconstruction of the environment than using DR navigation. Producing correct continuous occupancy maps and trajectories, opens plenty of possibilities for future combination with online path-planning algorithms.